Oh I forgot to remove her. She’s not active but she also performed twice. 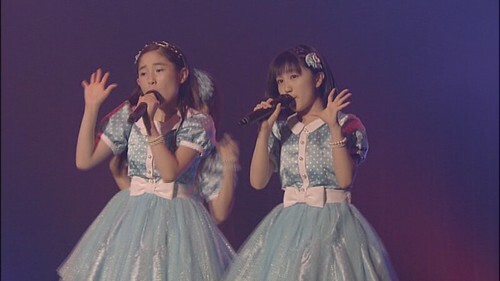 The Country Girls Spring 2017 concert is arguably the best thing the group has ever done and it's the last full CG concert with Momoko's participation. No other H!P group does--or has done--what CG does. It's a one-of-a-kind event. I wrote it up on my blog. 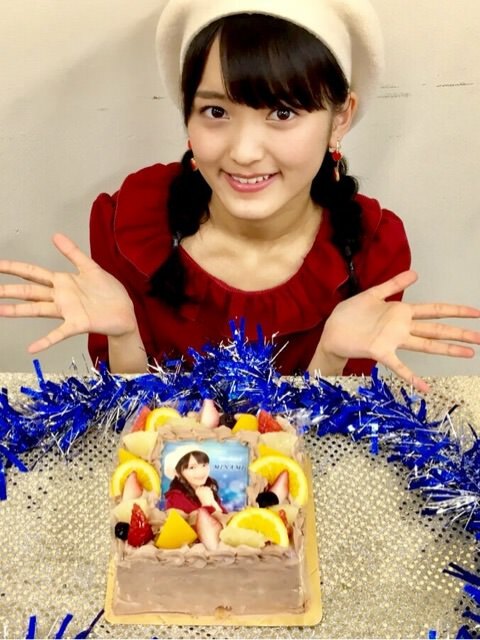 Tuesday, February 13 2018, Oda Sakura passes Suzuki Kanon on the Morning Musume tenure list to move into 17th. She looks like the light from the camera was too bright and it made her squint but it could just be because Riko's entire existence is awkward. I actually like the picture, oddly enough. There's just something about it. I think it’s fine and Riko looks cute. Riko's entire existence is awkward. 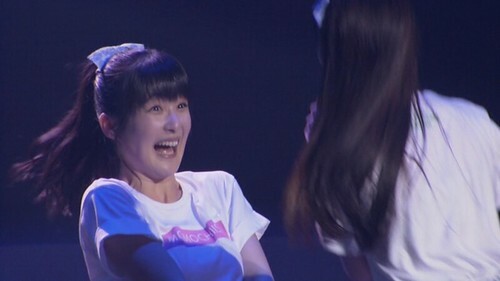 Four more days and the remaining 10th Gen'ers will pass Natsumi Abe and move up to #11! It is super awkward and Riko is super awkward, but it's really unfortunate that this is the entry picture (?) as there are much better ones in that series. Has anyone tried to take images from Google Image search and tried to post them here? I can't post it as an image here, only the URL. Anyone else try this lately? Ah, I saw this and thought I was just being blind. Yeah, they don't give you a direct link (hot link?) anymore in image search. You can still go to the website, look for that picture and copy its image adress, but that's pretty cumbersome. Especially when there's more pictures on that site, and if it's a shady site of course. Wait, are you calling my blog a "shady site"?! Google made some user-unfriendly changes again. Unfortunately, they try to keep you from directly linking images now. Google won't let you go directly to the image anymore, which is an infuriatingly annoying change. I remember when I still regularly did google image searches it gave me a virus once or twice when I visited a site. Those usually were some shady manga sharing websites. Ya see?! That's why I get nervous! Got premium ticket for Angerme Paris. Saturday, February 17 2018, Iikubo Haruna, Ishida Ayumi and Sato Masaki pass Natsumi Abe on the Morning Musume tenure list to move into 11th. I will also note that the blog pictures of the members on the Hello Morning set I believe sets a record at 25 members in one picture. By the end of 2018, the remaining 9th Gen'ers will move up to #5 and the remaining 10th Gen'ers up to #9. What happens in 2019 is anybody's guess. But if either of them can last another three years, they'll start moving into the top 4. If you are interested by the Behind the Scene of the huge H!P shoot/special. Some past and present members do look alike a lot in this. In part 1, Risa reminds me of Kaori; Harunan looks like a mix of Kaori and Sayumi (but prettier like Sayumi); Kaga reminds me of...somebody, but I can't think who; and Erina reminds me of my youngest sister as she looked 40 years ago (am I the only one who thinks Erina is part white?). In Part 2, someone in the posing shots looks just like Ai Kago, but the shot went by too quick for me to recognize her. Also, Tomoko has a vague Yuko vibe. In Part 3, Ayumi and Karin have the OG vibe but I couldn't pinpoint a specific resemblance. Near the end, someone looks like Rika, but I couldn't tell who it was. The lighting on most of the closeup interview shots was terrible, so that didn't help. Reina as Tsuji is so obvious, but also perfect for this shoot. I watched this a while ago and Ayacho looks so 90’s here. Also at the end of the last video thee is a message from Karin and you can def tell poor girl can’t move half her face. Omg I just watched it and you're right, poor girl! I admire her for still trying to work through it, but after observing its severity I couldn't blame her if she ended up stepping down due to it. Poor Karin, you can really tell, it looks like she got stung by a bee. What's weird is that one of my coworkers JUST came down with Bells a few days ago. He's probably a few years older than Karin? The doctor said it can be caused by stress also. Which was a symptom I didn't see pop up in the google searches. Maybe because it’s a form of muscle tension and stress can add to that. Looks like the don’t all the reasons it happens, but stress is a suspect factor.